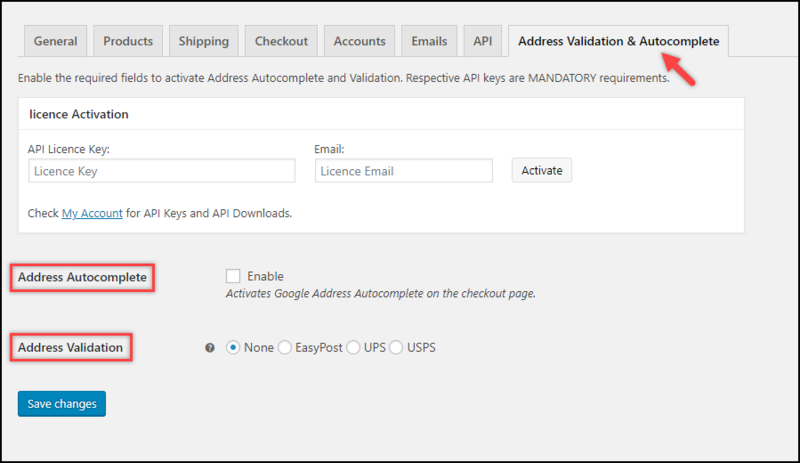 Dashboard > Plugins > Installed Plugins > ELEX Address Validation & Google Address Auto Complete Plugin for WooCommerce > Settings. Provide Google Places API Key to return place predictions. Provide custom Label name for Autocomplete text-field. For more detailed information, you can refer Google address autocomplete section of the setting up documentation. Enable address validation service from either EasyPost, UPS, or USPS. 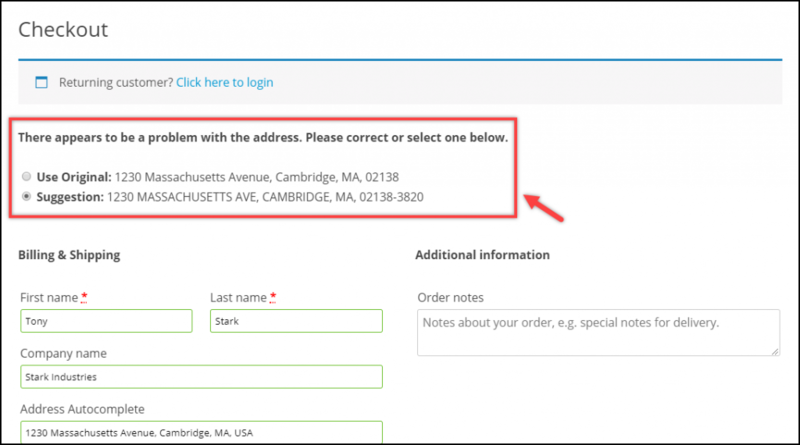 You need to enter respective credentials of the service provider for address validation. Enable debug mode for checking errors. Choose a method to display the suggested address; Popup Window or Inline Checkout message. For more detailed information, you can refer address validation section of the setting up documentation. Add an item to the cart and proceed with the Checkout. 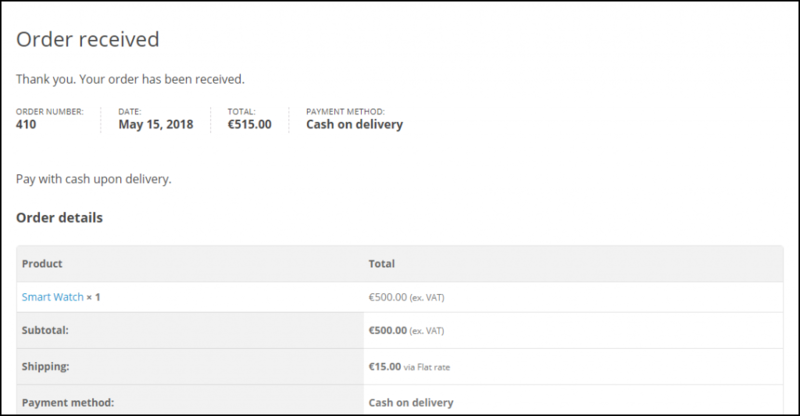 On the Checkout page, start typing address in the Address Autocomplete text field. Address suggestions from Google appear as shown in the screenshot on the left. 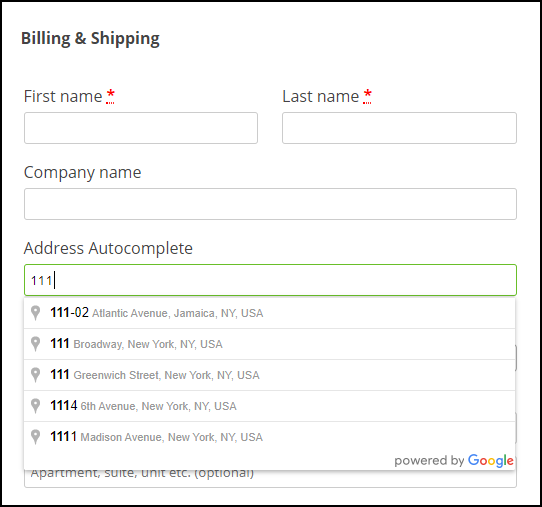 Once you have selected an address from Google address autocomplete text field and entered billing & shipping details, click on place order button to validate the address. If the address is invalid, an error message will be displayed, like the one shown in the sample screenshot on the right. Once you have corrected the address, click on Place Order button. The address will be validated and possible suggestions will appear as shown in the screenshot to the left. Choose the desired address and click on Place Order button again to complete the order transaction.